Dan Martin and his family move into a new home. Soon they discover an ancient chamber buried below the house. As the secrets of the area's dark history come to light the family begin to experience frightening supernatural phenomena. Hooded apparitions stalk their garden at night, an unseen hand carves messages on their walls, and most disturbing, their neighbours start to die. Opening the chamber has released a dark and evil force that existed eons before man. 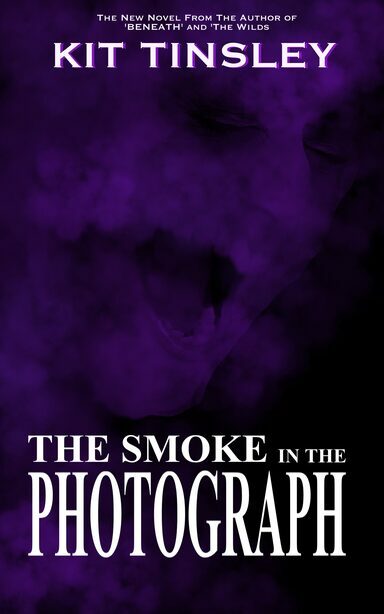 Can Dan Martin, a scientist, accept the existence of the paranormal in order to stop it? Can he protect his family? Violence, horror and death combine in a nerve shredding climax. Will they survive what dwells beneath? 5.0 out of 5 starsScary place is Lincolnshire ! Thoroughly enjoyed this story, great job for your first book Kit ! Being set in Lincolnshire is a bonus... I live in this county too ! Looking forward to reading more by Kit in the future. Lincolnshire, a place of beauty and peace, but also a place of bleakness and violence. In this collection of short stories, Amazon bestselling horror writer, Kit Tinsley explores the darkness at the centre of the countryside. The ten tales within cover many aspects of the horror genre, from the supernatural to all too human evil. A DRIVE IN THE COUNTRY - A troubled, married couple seek a pleasant day out, but it goes very wrong when they have an accident on the isolated, country road. TRACKS - A young, deaf boy tries to prove his bravery by exploring a ghostly local legend, but will he survive the tracks? THE HOUSE BY THE MARSH - A group of childhood friends find their whole lives haunted by a chance encounter with a derelict old house. THE CROWS - A career criminal takes on one last job too many. FEAR AND LOATHING IN SKEG VEGAS - A young man with a gambling addiction owes money to a very dangerous man. Will a meeting with a strange old man save him, or damn him? These stories and more will open you eyes to what is hidden under the surface of the DARK COUNTY. I really enjoyed this collection, reading it over two days. The flow was constant and smooth; the author clearly having a wide range but also the ability to keep to his own personal writing style throughout the collection making that easy-to-turn-the-page magic. He has a wonderful knack for changing his voice to take on the first-person narrative with belief; especially in "The House by The Marsh" which was by far my favourite. The collection was so varied in style, theme, even sub-genre; exploring a lot for what might seem a closed-in setting. It tears open the imagination and introduces to all the things subconsciously dreamt up about what may lurk in the countryside, and those dark ideas that haunt the mind of the horror fan; making the foundations of it all so creatively familiar, and bringing many traditional fear points a new lease on life. This is truly an excellent collection; and not even as a first collection. These are the tales that are helping recapture the true, unadulterated spirit of horror. Something is roaming the countryside, and people are vanishing. When his older brother disappears, Karl Morgan returns to the sleepy town of his youth, desperate for answers. He meets local reporter, Jason Flynn, who is convinced that there is a wild big cat at large in the fields and woods around the town. Karl and Jason set off to investigate the disappearances and the legendary 'Darton Beast'. Standing in their way is D.C.I Jon Pearce a man willing to keep secrets and break the rules for the greater good. Pearce blames Flynn for ruining his career and will do anything he can to discredit him. As Karl and Jason get closer to the truth, the stakes become higher. Will they discover the big cat, or something far worse? 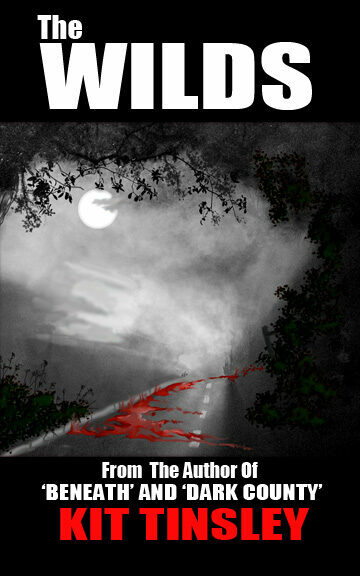 Horror and suspense combine in a climax that will answer the most important question, who will survive The Wilds? 5.0 out of 5 starsWill not disappoint! I have all of Kit's books and have thoroughly enjoyed them all. I couldn't wait for this one to come out. 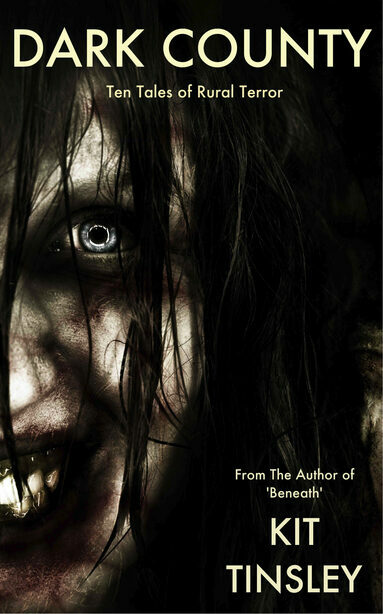 It's refreshing to have a new author go back to writing good horror. The last few years we seem to have been plagued with vampires, zombies and werewolves. I'm a fan of Guy N. Smith and Shaun Hutson and Kit's style of writing reminds me of them. He sets the scene perfectly, keeps the suspense going and makes you believe in the characters. I almost felt sorry for the creature that was terrorising the countryside. D.C.I. Sam Fluting is a desperate man. For years he has been trying to catch the, seemingly unstoppable, serial killer dubbed ‘The Lincoln Ripper’. With each new murder the media, the public and his superiors lose more faith in Sam’s ability to finish the job. As the killer taunts Sam at every step, the presence in the Draper’s home offers Julia warnings for her own safety. As Julia and Sam’s stories become more entwined the stage is set for a terrifying, and violent showdown. 5.0 out of 5 starsModern day, supernatural tinged, giallo. Modern day, supernatural tinged, giallo. Having been a fan of Kit Tinsley's earlier novel, The Wilds (described by the author as "JAWS on land") I picked up his latest book not knowing what it was about. And that's how I recommend you approach the book, knowing as little as possible going in. All I will say is that it's a hard book to put down, I read the book in two sittings and was gripped the whole time. Of all of the supernatural creatures to have stalked the collective nightmare of fiction and cinema, the vampire is surely the most eternally popular, but why? In this book we try to answer this question, and in doing so we take you on journey through time and across the world. 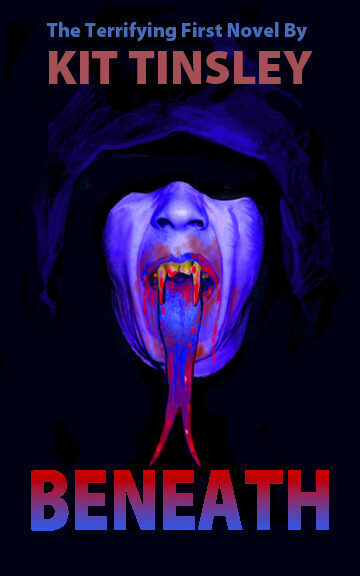 *discover the ancient legends of vampiric figures from the oldest civilisations on Earth. 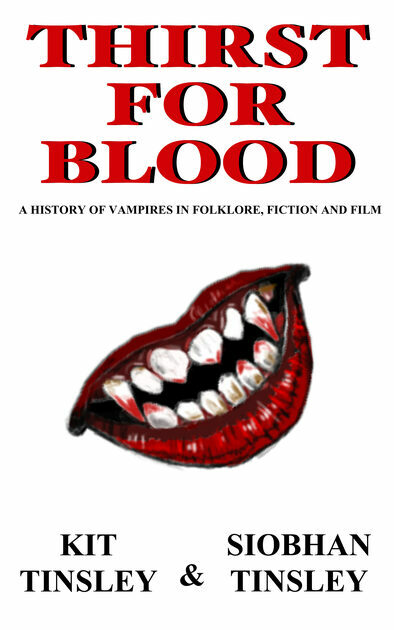 *Examine the Eastern European folklore that inspired the modern vampire tales. *Trace the literary vampire from its gothic beginnings to modern dark fantasy. *Study the evolution of the cinematic vampire from silent cinema to Hollywood blockbusters. All this and more can be found in the pages of this history of these dark creatures who have an insatiable THIRST FOR BLOOD. A concise, well researched and thoughtful biography of the bloodsucking ghouls written by an author with an obvious glee and passion for the macabre.